This light, creamy care product untangles hair without weighing it down. Its formula, enriched in salva oil*, is rich in antioxidants and phytoceramides to moisturize dry hair and protect the radiance of highlighted or color-treated hair. Hair is soft, shiny and easy to style. * Extract of a Nicaraguan plant grown by the local population involved in rebuilding a forest corridor rich in biodiversity. Salva oil, rich in Omega 3: antioxidant. Anti-breakage ester: reinforces and protects the hair. 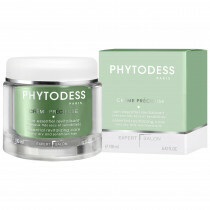 Pro-Vitamin B5: moisturizes and provides shine and radiance. 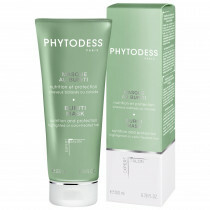 After using PHYTODESS shampoo and towel-drying the hair, apply to hair lengths and ends, then rinse thoroughly. This care product can be used after each shampoo.